"And at last I see the light..." and it looks incredibly tasty! 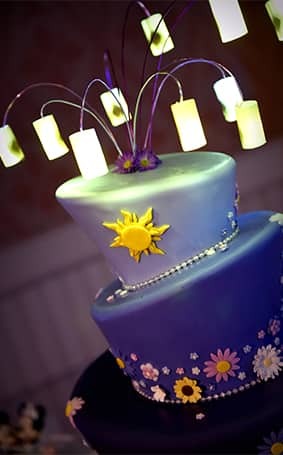 This three-tier wedding cake inspired by Disney Tangled looks exactly like something Rapunzel herself would bake up in her tower. 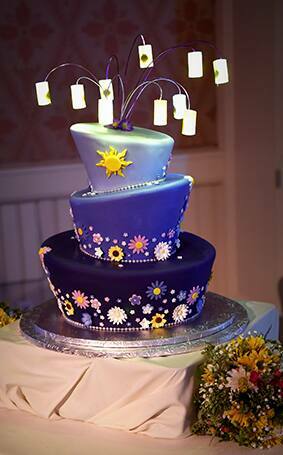 Dreamy flowers and golden sun emblems circle the cake while lanterns full of hopes and dreams adorn the top of this celebratory dessert.